This week's Pamper Treat is a seriously luxe affair as it features a high-end face mask that contains truffles, champagne, silk and gold - intrigued? 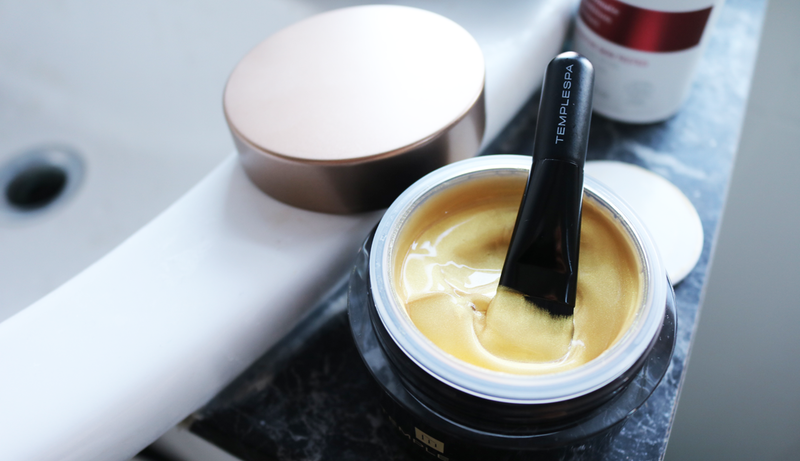 I've been testing out Temple Spa's Trufflesque Ultra Hydration & Radiance Masque for the past month to see if it's really worth the hype. What is it and what does it claim to do? The Trufflesque Masque is the latest addition to Temple Spa's award-winning, anti-aging Premium Truffle Skincare Collection. As the luxury spa brand is based around pampering and spoiling yourself, it made perfect sense for them to release a face mask into this range, and I was eager to try it out as I've seen a couple of raves from other bloggers who love Temple Spa's Truffle products. The masque is an amazing gold colour, and it's insanely shimmery! I had a closer look at the ingredients and found that it contains a lot of Mica (it's fifth on the list) which explains all this bling. It's also heavily fragranced (again Parfum is about half way up in the ingredients) with a classic spa-like scent, so it's not something that I would recommend to those who have sensitive skin as this may be too much for you. Do a patch test first if you fancy trying it. After cleansing, simply apply a generous layer over your face and neck (avoiding the eye area). 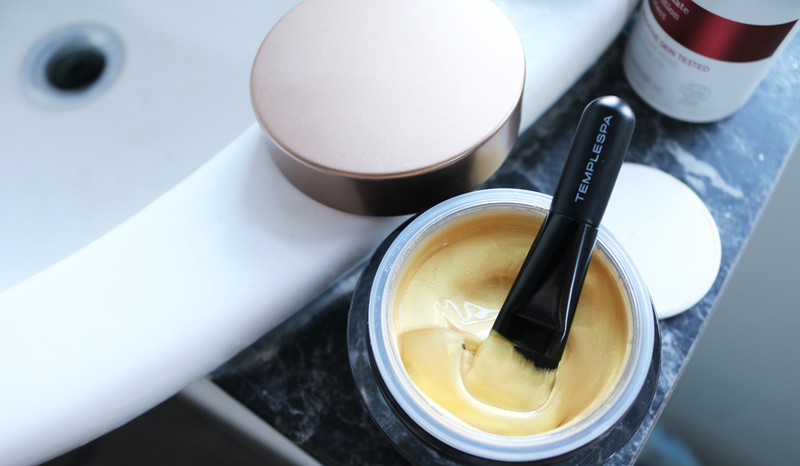 The masque comes with a little brush which works brilliantly as you can just 'paint' it directly onto your face, without getting it all over your hands - it's quite difficult to spread evenly if you try to use your fingers. Leave it on for 15-20 minutes, and then massage it in. Temple Spa have a dedicated Facial Ritual online which you can watch here for guidance on how to use it. After that's done, you can leave it on for another 2-3 minutes before removing it was a warm face flannel or muslin cloth. Recommended to use as a weekly treatment. What does it feel like on? At first, there was a slight cooling effect, but this quickly disappeared after a minute or so. From the anti-aging/lifting claims for the masque, I was expecting it to feel like it would tighten at some point, however it didn't. It felt sticky to the touch and didn't fully set towards the end of the application time, which made removing it a little messy. 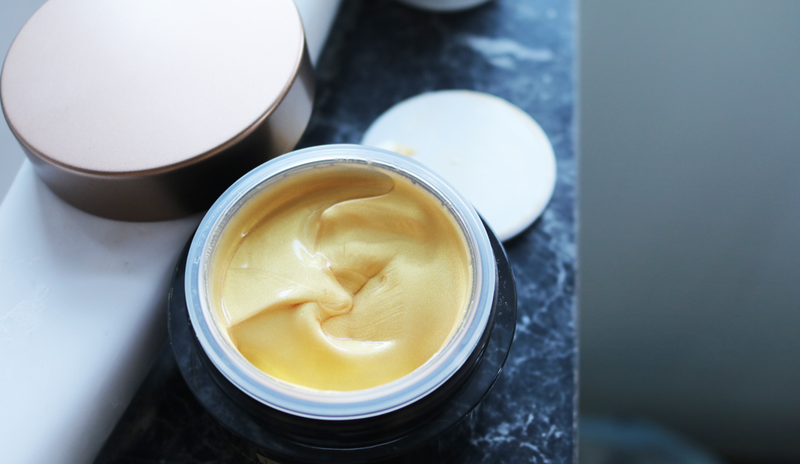 When I removed the Trufflesque Masque with a warm flannel, I saw a slight difference in how much brighter my skin looked, but no real changes in how firm or lifted it was overall. However, the biggest positive difference for me was in hydration and smoothness - my skin was left feeling incredibly soft and smooth like silk, and it was also thoroughly hydrated and plumped up. Due to the pricetag, this is the kind of face mask that I'd tend to reserve for special occasions only, but it's a lovely, luxury, pampering hydration skin treat to use during the cold winter months, and it helps to re-balance and restore the skin's moisture levels within a mere 20 minutes. I'm not sure that I would repurchase it for myself, but it's something that I'd love to receive as a gift if you know what I mean?! 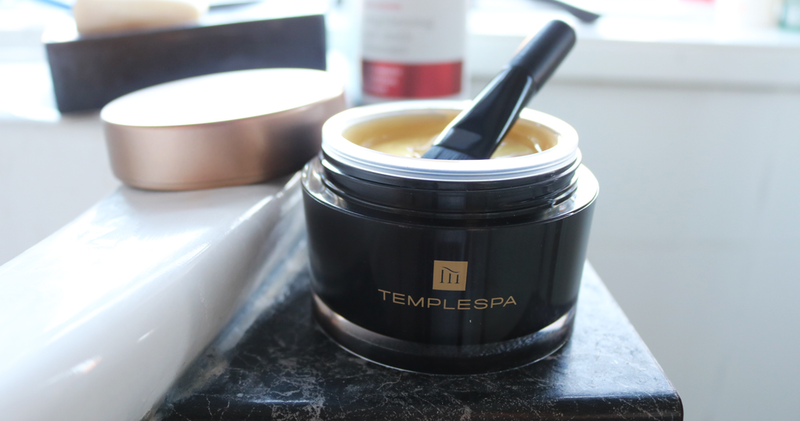 Have you tried any Temple Spa products?